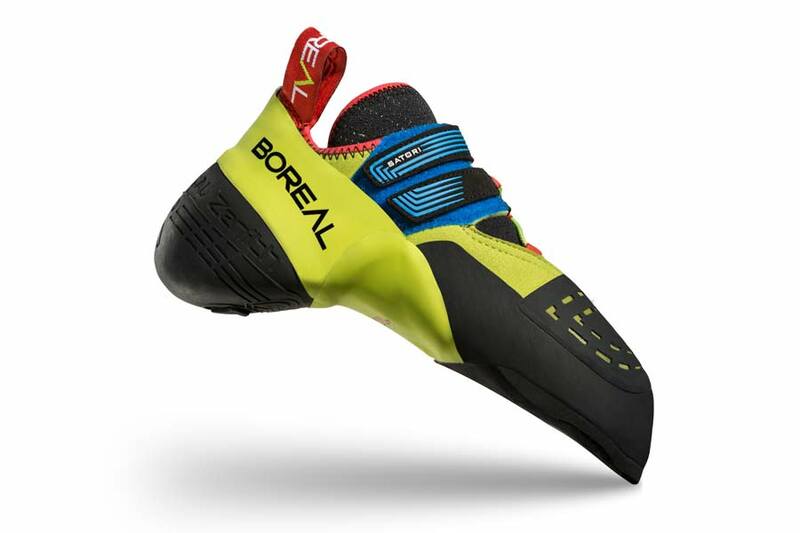 One of the difficult decisions often faced by climbers is whether to choose the precision and adjustability of a lace-up shoe, or the convenience of a strap closure. With the innovative Mix2Fit system, Boreal has combined elements of both lace and strap closures to create a highly adjustable and secure yet convenient system with the principle benefits of both. Regular lace-up shoes provide excellent adjustability, but are often slower and less convenient to use. Our Mix2Fit system uses a captive lace cord which offers comparable levels of adjustability to a regular lace shoe. The key difference however is that once pulled tight the lace is then secured with a strap tab instead of a knot and so fitting and removal is just as quick and convenient as a strap shoe. The highly downturned and asymmetric last shape cradles the foot and maximizes power at the toe. The innovative Wrap Rand™ surrounds and supports the foot, while the combined lace and strap M2 Fit™ closure system keeps everything secure. The lined, synthetic upper with integrated elastic tongue ensures a comfortable fit with minimal stretch. The rand and toe patch are constructed from a single piece, providing outstanding friction and sensitivity for toe hooks. The snug 3D moulded heel in our outstanding Zenith™ rubber results in exceptional heel hooking ability, and the graded midsole provides an ideal balance between stiffness on micro edges, and softness on smears. 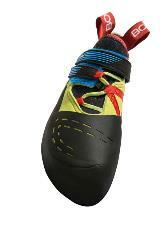 SATORI | The ultimate bouldering shoe. With an aggressively downturned and asymmetric last shape and mega sticky BOREAL® Zenith Ultra™ rubber, Satori features outstanding sensitivity. 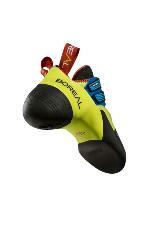 The optimized heel hooking ability allows you to perform on the hardest problems.